When a CEO or coach takes a new position, they often make drastic changes to distinguish themselves from their predecessor. The new Fed Chairman appears to be no different. On February 5th, Jerome Powell was sworn in as the new chairman of the Federal Reserve. The next day, in his first testimony before Congress, he hinted that some big changes were on his mind. However, when you’re the head of the world’s most powerful central banking system, making major policy changes can have serious consequences. 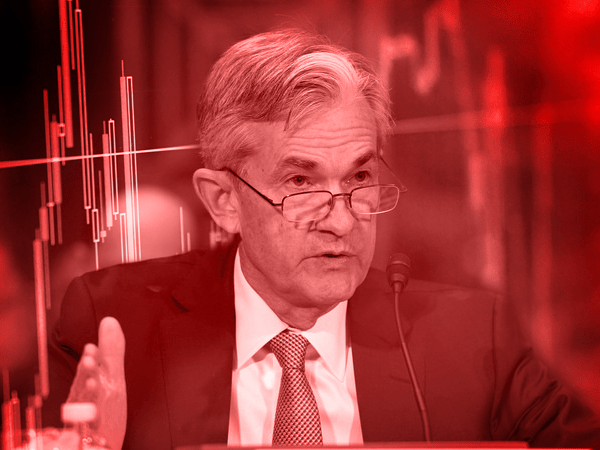 The markets are watching closely for any clues Powell might drop about his future plans. Even on the day he succeeded Janet Yellen as the Fed’s new Chairman, the Dow plunged more than a thousand points in response, its largest recorded fall ever. Personally, I find these rule prescriptions helpful. My personal outlook for the economy has strengthened since December. It looks like Powell is saying we’re now under different conditions than those we were under during the financial crisis. These claims appear to signify he’s attempting to justify returning to the policy rules that were meant to prevent inflation from getting out of control. This is a little bit more hawkish than the testimony we might have expected… He was pretty upbeat and optimistic about what’s coming in 2018. This was a big statement to make. Was he warning the markets to brace themselves for change from data dependent decision-making to a return to a rules-based approach? This would be a radical change from how the Fed has been controlling inflation since the financial crisis. 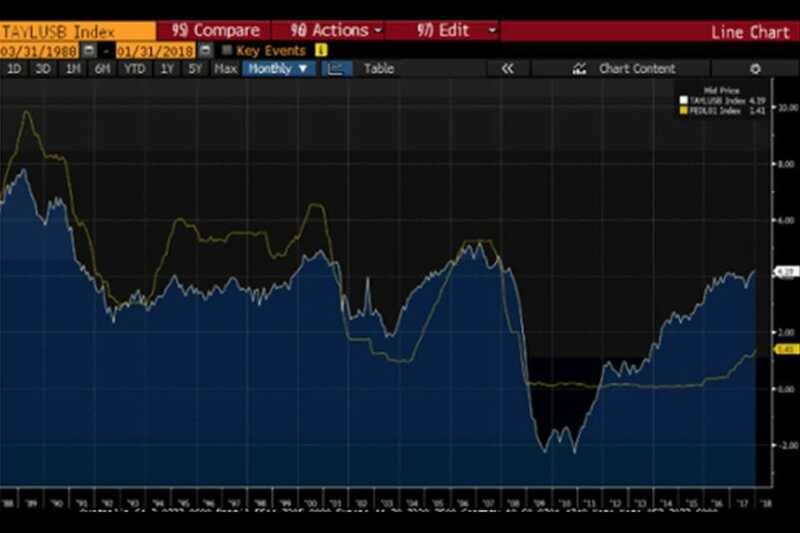 During Janet Yellen’s time, decisions were made by assessing the dynamics from the latest data as well as on trends and expectations for predicted data – what’s called “data dependent” monetary policy. Could Interest Rates Be Four Times Higher? Here’s the scary part. By returning to the “old rules” we could be looking at nominal interest rates 4 times higher than right now, from about 1% to 4%. Another hike is expected in March which would bring the interest rate up from 1.50% to 1.75%. Are the markets prepared for old policy rules to be implemented again? After all, it’s expected that we could see as many as four rate hikes this year. As the graph below shows, by adopting a data-dependent approach to its decision-making, rates have been kept low, whereas under a rules-based approach they would be much higher. Could We Enter Another Recession? You shouldn’t take Powell’s words lightly. A return to the old rules is needed to get the economy back on course. However, it would call for drastic measures that could really shake up the markets. With a rate increase four times higher than expected, the real estate market would likely implode. As sales slowed to a crawl, property prices would plummet and people would struggle to pay back their loans. We’d see a similar pattern in other markets that rely on debt to sustain their prices. For example, higher interest rates would cause car sales to crater. Stocks already plunged last month amid fears the Fed would quickly increase its rates in response to inflation. Though they’ve since recovered some of their losses, these fears still loom large. Until now, stock prices have been buoyed by low interest rates. A return to normal rates would cause them to fall sharply. Whatever reasons the Fed gives for their actions, your wealth hangs in the balance. Precious metals like gold offer the only safe haven as policy makers continue their monetary experiments. With another hike expected in March and stern words from Powell, now isn’t the time for investors to be complacent about protecting their wealth.